Let me begin by saying I don’t have to wear a suit to church any more. For nearly 35 years as a pastor I dressed in suits and ties to preach and lead worship services. I can’t say it was ever demanded of me, but I knew it was expected and would have caused a minor stir among some people who were ceaselessly looking for reasons to engage in or promote a minor stir. Not having to wear a suit and tie is today a minor benefit of no longer being a pastor. I note here that among those benefits I number most highly is not feeling responsible for the temperature in the sanctuary or the condition of the plumbing in the lady’s restroom on Sunday morning. I get to sit beside Leslie in a worship service now, blithely unaware of all the minor physical-plant issues that will absolutely prevent a significant percentage of people from worshiping God the Creator of Heaven and Earth. My new calling has benefits. But I still wear a suit to church, almost always, even though it’s not required or expected. This morning as I dressed I thought about the reasons why. Without question I still retain a good measure of respect for “wearing your Sunday best.” I’m sure it’s part of the software installed early by my dedicated Baptist family. Men wore suits. Ladies nice dresses. Even white gloves. I often polished my shoes on Saturday night. Wearing your Sunday best, or Sabbath best, is an old tradition, dating back to Old Testament times. The priests wore special garments for their activities in the tabernacle and later in the Temple. Aaron, the first high priest, wore an ephod that God personally designed. It was an apron of sorts with various accoutrements, very finely described by God and executed by skilled seamstresses. They wore these clothes because they served in a holy place, on a holy day. The word “holy,” in both Hebrew and Greek, means something that is set apart. A holy thing is different, a reminder that God is different. I don’t own an ephod, but my enduring commitment to suits and ties is a minor nod to my conviction that some places, days, and times are holy. These are all sacred to me, a word that denotes a way in which God especially dispenses His grace. Look at it this way: If I were thirsty I would go to the places water was available. If I knew that taps were only turned on at certain times I would be there at those times. If I knew I had to bring a cup to get a drink, I would be sure to bring the cup. All of this I would do because I need the water. Please read carefully. God doesn’t withhold grace from me if I don’t go to church on Sunday or if I wear a Grateful Dead tee-shirt when I do go. But isn’t it possible that God created in me, in all of us, a certain rhythm of grace that resonates especially when my mind, eyes, and ears are focused on Him? And that certain places, times, and things serve more effectively to sharpen that focus? When I sit in a sanctuary I’m more likely to feel God’s presence. When I set aside a time to pray and meditate in the morning I’m more likely to be aware of God’s grace in my life. When I observe Advent or Lent or Holy Week I’m more likely to have a new insight into the theological meaning behind those events. We live in an age that pushes sacred things further to the edge. My wearing a suit is a small effort to try to keep sacred things in the fabric of my life, if you will. It’s my way of saying this is a special day, I’m going to a special place, and I want to acknowledge both of those things in the details of my preparation and attendance. Frankly, I remember times when people who dressed in their Sunday best looked askance at someone who dressed too casually. Funny thing today is that some people look askance at me when I dress up, as if I’m focusing on externals. As in all things, opinions can vary but judgment is prohibited. I merely ask you to think about what is sacred in your life. You certainly do not have to wear a suit to church on Sunday. There should be no dress code! But how do you acknowledge your need for sacred places, times, and things? Space doesn’t permit me to review the growing science that has revealed a neurological basis for faith and belief, but trust me, every one of us has a spiritual neural network that responds to prayer, meditation, worship, and silence. Sacred places, things, and times are not only good for your soul, they’re good for your health. Literally. Seek out the sacred. Create spaces in your life, daily, that are devoted to the sacred. Next Sunday I may well stand beside a young man in sandals, shorts, and an untucked Hawaiian shirt. I will almost certainly be wearing a dark pin-strip suit with a Windsor knot tie, and French Cut Toe Cap dress shoes. But we will each in our own way be saying that before we embark on a too-secular week, we need a sacred start. So in the spirit of Barney Fife, let’s talk about sin this week. But I don’t want this to be a long complaint about all the evils of the world. I don’t want to drone on, albeit in type, about the moral decay of our society or take on the latest grotesque example of some sin that reels vulgarly down the middle of the street. Instead I want to talk about the goodness of sin. Don’t get me wrong, sin is an awful thing. The word seems obsolete and so very out of step with our lax standards today. The only sin the general society seems willing to acknowledge is when someone suggests that something is a sin. I risk droning here, but, honestly, it appears that our squeamish culture loves to point out the failings of anyone on the other side of any divide. Especially when the apparent failure comes from a minister or one who claims to be a Christian then the calls of “Hypocrite!! !” ring out. A sinner is met with mocking and ridicule from the very people who object to the word in the first place. What’s especially troubling for me, however, is the implication that because someone has failed to meet the standard then the standard is useless and should be discarded. It’s the equivalent taking down the net in tennis because it obstructs the flight of a low-flying ball. I believe that the failure to meet the standard God establishes points out the need for the standard. Instead of getting rid of the notion of sin, why not embrace it? It’s really no help at all to redefine, ignore, or rationalize it. Sure it’s uncomfortable and risks making us feel badly. My sin makes me feel badly! But how much more badly do I feel if I continue down a path that leads to destruction? So the first “goodness” of sin, is that it reminds us of the need for godly standards, the Ten Commandments, all the “thou shalts” and “thou shalt nots.” Every grace-focused Christian needs to regularly recall that Jesus pointedly said, “I came not to abolish the law and the prophets but to fulfill them.” And fulfilling them certainly does not mean getting rid of them. I believe it was Chesterton who wrote, “Good art, like morality, consists of drawing the line somewhere.” I’m going to trust that God knows where to draw the lines, and my task is learning to live within those boundaries. And that leads us to the second “goodness of sin.” It does point out where I need to change. When I’m confronted with clear evidence that I’m living “outside the lines” I have a choice. I can argue with the line by either redrawing it or erasing it altogether. Or I can shape my behavior to be in conformity with the line. In our hyper-individualistic age the word “conformity” is anathema. We’re so in love with the notion of unbridled self. It is Invictus on steroids. “I am the captain of my own soul!” even if I’m steering the ship over a waterfall. What I’ve just described is the very “self” that Jesus told us to deny. The chief paradox of the gospel is that by clinging to self we lose ourselves, and that by denying self and conforming to our Creator we actually find freedom. A common feature of “quest” stories is that the protagonist, Frodo or Dorothy for example, must not leave the path. Bad things await, and you’ll never reach your destination if you stray. When I stray from the path, I inevitably get a sting of pain, a foreshadowing of the further destruction that awaits me if I continue off the path. The sting should guide me back to the way that leads to life and peace. The Bible is clear and unified in the fact that sin is always in us. In Genesis God warned Cain that it “crouches at the door.” Paul wrote extensively about the flesh, which is a very unfortunate translation, but means the sinful nature, or the “bent” to sin that we struggle with. We all tend to regard our sin as less serious and smaller than it actually is, but in a moment of clarity and honesty we must recognize that much of the soul-pain in our lives is simply the result of sin. And pain can be a great teacher that shows us where we can change to escape the pain. So I suppose this GraceWave is a call to honesty. Simple, brutal honesty. Sin is a real, daily struggle that wise people have been warning us about for thousands of years. Human nature in the 21st century has not changed. But I must end on a note of grace. The awareness of sin might awaken a renewed commitment to eradicate it. That’s a good thing IF the response is cloaked in grace and joy. Too often a Christian responds to sin by trying even harder to be a good Christian, and I mean “good” in the very worst sense of the word. The response might be to read the Bible more, go to church more, pray more, etc. These are all good things, but if that defines being a better Christian, notice where the focus is. Self. My Self is trying harder. It all comes down to me. And that is not a good thing. The awareness of sin brings grace and joy when we allow it to refocus us on the presence of Christ in us. I am to be conformed to Christ not by outward actions, but by the inner relationship. Becoming a good Christian is never a matter of the outward working inward. It’s the inward working outward. You are in Christ, and Christ is in you. That is the immutable fact of being a Christian. Yes, sin is real, but it can be used for our good if it drives us back to the inner Christ. Before Him we find no condemnation. You’ve just found out that you’re going to die in the next few minutes. What goes through your mind in those moments? Denial? Terror? Bargaining? Matthew O’Reilly knows. O’Reilly is an emergency medical technician. He’s the guy that shows up at the wrecks and heart attacks and other places where lives hang in the balance. He says it’s not unusual for people in those crisis situations to ask the obvious question, “Am I going to die?” For the first part of his long career he always told them no. He wanted to spare them from what he believed was the chief fear of all people, the fear of dying. He wanted them to have hope, even though he knew it was false hope and, he suspected, some of his patients knew that too. One event five years ago changed his approach. He was called to a grisly motorcycle accident. The rider was conscious and aware that his injuries were traumatic. He looked at O’Reilly and asked THE QUESTION. At that moment, O’Reilly decided to change his approach. He told the truth. To his surprise the patient responded not with panic, but with acceptance. He decided from that moment that he would not give false comfort to the dying with his lies. The story is compelling on many levels, and if you want to watch the 6 minute video of his story you can google his name and TED. It’s worth a watch. What I really found compelling is what he’s discovered in numerous similar instances since then. The number one concern people have at the end of life is forgiveness. And it’s not forgiveness from God. They either hope a family member forgives them for some transgression, or they want an estranged family member to know that they forgive them. Many times, forgiveness is a problem. It’s really never easy, but it’s amazing to me how much we want forgiveness and how reluctant we are to give it. We struggle with forgiveness. We excel at holding on to the very things that make us sick, and we’d rather die than change. An unforgiving spirit is is one of the things we hold on to most tightly and the worst soul-acid there is. The chief struggle with forgiveness in my experience and observation is this: we won’t consider offering forgiveness until we have extracted a full confession and a guilty plea. We want the other person to know how much they’ve harmed us, and we want them to know that we’re granting forgiveness to them (if we choose to, and that certainly is not guaranteed). So many times, though, we’re faced with a situation in which our offender is not in any way open to discussing their transgression. In fact, they may not even be alive any longer. So we have no chance for a prosecution, verdict, punishment, and the possibility of our grand forgiveness. We’re just stuck with the hurt. First, stop equating your peace with their confession. In so many cases, it’s simply not going to happen. Your vision of reconciliation is a mirage. Thoughts of one day having your grievance ratified is an illusion. It’s time to simply accept that. You won’t move on as long as you make their confession a prerequisite for your peace. Second, and this is very hard, you must accept your role in the continuing pain you’re experiencing. This does not mean necessarily that you had a role in the original offense. Though frankly, if I think honestly about the series of events that led to the hard feelings I can usually pinpoint something I did to contribute to it. I need to be honest about that or my self-deception with continue to imprison me. But let’s say you were a 100% victim and the perpetrator is either gone or shows no interest in reconciliation. What could possibly be your role in your ongoing pain? Here it is: you’re expecting another human being to change to make you happy. You. Cannot. Do. That. It’s nurturing a resentment, and that’s keeping you sick. And I assure you that poison will come out in some very harmful ways to you and other people around you that had nothing to do with the crime. But you want that recalcitrant offender to fess up and change so you’ll feel better! Even God doesn’t change people to make you happy. Your prayers to that end are, frankly, a waste of time. Your efforts to convince someone else of their role in your grievance, even if you’re 100% right, is a waste of time. If you’re trying to change another person, you’re looking in the wrong direction. Take an honest look at the resentments you’re holding on to and you’ll find that they’re actually holding on to you. By the throat and by the heart. Give grace another chance. One of the Greek words for forgiveness in the New Testament is built on the root word for grace. We always can use more grace. Giving it or receiving it. Especially from those closest to us. Hopefully, you’re in good standing with all of your close family, but if you are then you’re likely in the minority. Don’t wait for a life-threatening event to bring you to the point of forgiveness. Ask for it if needed. Offer it if asked. But please stop expecting someone to change and trying to effect that change either through prayer or some emotional manipulation. Just accept. This verse is the foundation for GraceWaves. It summarizes so beautifully some of the themes of grace that are central to understanding and relating to God. Jesus came to show us God’s grace. As we are still near the beginning of the New Year, I thought this would be a good opportunity to review some of the basics of grace. First, grace is action. It’s the removal of sin (one of the Greek words for forgiveness is built on the root word for grace). It’s the binding up of wounds and caring for the man waylaid on the road to Jericho. It’s paying the last hired the same as the first hired. It’s the cross. Grace is always action. This distinction differentiates grace from love. Love is more of the force, the divine energy that catalyzes the action of grace. God IS love, and because God is love, God does things for us. In fact, He’s constantly trying to improve our lives. The same is true in any healthy relationship. Leslie loves me, of course, but I see her love for me by all the things she does to make me feel her love. Grace makes love concrete and makes people around the agent of grace better. That God is eternally, and moment by moment, trying to impart His life-changing grace to us is a point repeatedly emphasized throughout the Bible. So as you begin this New Year, simply accept the truth that God is on your side. That cannot be changed. God is trying every moment to bring something good into your life. This active goodness of God is what makes grace so puzzling and confounding. Most people don’t trust grace and ALL people struggle with the concept regularly. At some level we’re suspicious of grace, feeling that if grace applies then we’ll all misbehave terribly. This misconception brings us to the contrast between grace and law. Law does constrain behavior to an extent, for breaking the law sounds life a fundamentally fearful thing. That’s why some religious types can be so very good in the very worst sense of the word. A man who is thoroughly sold on law alone inevitably becomes judgmental and condemning for a focus on the law always ends up being a focus on self, and the self’s ability, strength, and commitment to fulfill the law. It’s a classic ego move. Grace, by contrast, always focuses on God. Further, only grace, ONLY GRACE, truly changes a person, for it works from the inside out. Law attempts its work from the outside in and always fails. It can create the appearance of holiness, but a law-oriented person retains a fundamental fear that he will break the law and thus offend God. In the love/grace construct “perfect love casts out fear.” Grace creates security. So be secure this New Year. Whatever you fear, you can trust to God. Anything. I want to close with an idea that has has taken more form in my mind over the decades. It seems I have a bent to grace, if you will. As far back as I can remember grace has resonated with me, and even “made sense.” Additionally, I’m often puzzled by the number of Christians that struggle with the concept. I’ve seen a lot of fear in Christians, the antithesis of grace. I’ve come to the conclusion that grace was modeled for me from an early age. My adoption, I think, set a tone. I was loved and chosen, and told so over and over. I remember my parents as smiling people. I felt secure, from before my first consciousness. I think also that the ministers in my life modeled grace, chiefly Bro. J. K. Pierce of my home church, and a man I still consider the pastor in my life. And in seminary I heard grace taught, and my studies of Greek confirmed my experience. What I had modeled for me in my life, many people have missing from theirs. We certainly get our fist theology from our parents and early childhood experiences continue to shape our views of God. Frankly, I’ve worked with so many folks with fractured pasts that it doesn’t surprise me they struggle so much to find intimacy with God. In fact, according to Erikson the chief developmental goal entering into adulthood is intimacy as opposed to isolation. Interestingly, the basic virtue-goal in this stage is love. Multiple or normalized trauma early in life challenges the ability to be loving (i.e. showing grace). 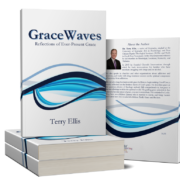 A child/teen who has been denied grace-models often grows into an adult focused on rules and either becomes insufferably good (again, in the worst sense of the word) or rebellious out of sheer frustration at failing to successfully follow all the rules. Of course, it’s never too late to find good models. It starts, I think with a decision to look for them. Remember, God is constantly washing grace over us. If we stop focusing on the shouting world and the screaming ego then we find the whispered grace of God. Just make a decision to start looking. And for the rest of us, make the decision to keep looking. A trip to Israel changes your life. After you walk the land where Jesus was born as we all are, worked as a carpenter, taught as a rabbi, died as a Savior, and returned as the King you will never read the Bible the same way. As the stories come alive, your faith also will come alive in new and unexpected ways. We still have places available on the trip. We need final commitments and deposits by February 8. To learn more visit www.jcbs.org and click Find A Trip in the upper left. Then enter the following: Tour: JC18; Date: 052618; Code: X (to the right of date); Group Leader ID Number: 41969. Join me as walk the land and feel, in a very special and life-changing way, a deeper connection to our Lord. Give the gift of grace this Christmas! First class shipping to the address of your choice. Are you dealing with unexpected turns in your life? You might be feeling kind of lonely, but trust me, you have lots of company. We’re all either in the middle of turn, about to go into a turn, or coming out of one. We just need a reminder that God is with us through all the turns. Joseph is a good reminder. Let’s take a look at the life that he had planned. From Gospel of Matthew and Mark we know that Joseph was a carpenter, for some of the foes of Jesus derided Him as merely the “son of a carpenter.” Carpentry was his trade. He was, in all likelihood, a hard-working man. Joseph’s career was set. He would be a carpenter. In this respect he would get the life he expected. But then the turns begin. A young woman named Mary caught his eye. She is lovely, a beauty and sweetness that comes from her very soul. They did not date in those days, probably did not even court in the usual sense of the word. Marriages were usually arranged by parents. They were betrothed to one another. Betrothal means more than engagement, it’s just a slight degree from marriage itself. Betrothal means a ring and a date, dressed purchased, tuxes rented, invitations sent, standing at the altar. That would be the modern day equivalent. So Joseph looked forward to marriage with Mary. That is the life he has planned, the life he rightly expects. He would wed Mary, be a carpenter in his hometown of Nazareth and make a life together. Then a turn! Mary informed him that she is pregnant! This was a biological impossibility from Joseph’s viewpoint. He knew they had been honorable in their courtship. This had to be the most devastating news he had ever heard in his life. Now we know that Mary had already been told of the miracle inside her, and we can imagine that she tried to explain that this pregnancy was from God. I’m sure that her explanation was more than a little confusing. For any other girl, this story would be greeted with one gigantic, “yeah, right!” But Joseph loved Mary and probably wanted to give her the benefit of the doubt. Still he knew he was not the father of this child. This was not turning out like he had expected. So then he made a very important and revealing decision. He decided to divorce her quietly. You can see how binding betrothal was when the word used to dissolve it is divorce. He had every right to be angry, and to protect his reputation by publicly exposing her pregnancy and making certain that people knew he was not the father. He likely would have been believed. He might have even been encouraged to do this by family and friends. But Joseph obviously had a very strong sense of honor. He would keep this affair quiet, suffer silently, absorb the pain and try to move on. He had no idea what plan B would be for his life, but with this difficult decision behind him he went to sleep. Then another big turn! An angel appeared in a vision and confirmed what Mary likely told him. This was God’s Son. Joseph was to marry her and take care of this baby. He woke up from the dream and the scripture tells us he obeyed God. He married Mary, and when the child was born he did exactly as he had been told. He performed the rights of a father and named the child Jesus, again, exactly as he had been instructed. It’s a wonderful life, but definitely not the one he had planned. Life had taken a turn. A while later he got the angelic green light to go back home. He and his family settle in Nazareth. He worked as a carpenter, provided for Mary and Jesus, and taught Jesus the trade when he was old enough to learn. He had come full circle. This is the life he had anticipated, but what a journey to get there! All of the unexpected events in your life have surprised you, shaken you, and, at their worst, threatened to overwhelm you. But not a single one of those events occurred without God’s knowledge, presence, and enduring purpose. He simply does not allow evil to derail His providence in your individual and precious life. The theme of the second week of Advent is peace, but so little of the events surrounding the birth of Jesus were peaceful. It seems that God is not terribly interested at any point in history in eradicating all chaos and confusion, until the end I suppose. He just shows up in the middle of it all and offers peace. I think Joseph found out that was enough, And he was still enough to hear God. He had to be. Otherwise he would have flung away in anger and frustration. Instead he just listened, obeyed, and God gave him the life he always wanted. I’ll take peace this Christmas. I’ll find it in the gentle whispers of God, but I have to be still. I do hear those whispers. I have peace. Now I want to remember this through all the turns of life. Hopelessness is a great human disaster. Hopeless people abound. Life for them is dry, full of despair. They have nothing to look forward to other than pain or grief. Hopelessness comes in countless expressions, and all of us have felt its cold touch. A student comes into a classroom to find out that the test is today, but thought it was next week. All hope is gone of doing well on that test. You didn’t make the team. Hope disappears. On into adulthood you feel hope drain away when you didn’t get the job. You were laid off. You were asked to retire early. A future that seemed secure and bright is now full of uncertainty, dark and threatening. Hopelessness can be much more painful. The phone call from the doctor’s office, “your test results are in Mrs. Smith, the treatments have not been effective. There is nothing else we can do.” I’ve seen hopelessness on scores of different faces, people who had counted on something and yet life stripped away their security. Dreams fade, then die, the embers of hope cool to the ashes of despair. Then someone or something comes along and reawakens hope, and like rainfall in the dessert, life returns. They have something to cling to, something to live for. That is the power of hope. Hope has an immediate, animating appeal to the soul. Think of a hopeful response to each of the situations I mentioned earlier. The teacher allows the student to take the test the next day. Another company calls, they want to interview. Another doctor says there is a new treatment. “I can make you feel better.” Hope reawakens! Just as each of us knows despair, each of us has known the soul-stirring power of hope! I want you to have hope today. You may have experienced a string of disappointments, or you may have one chronic disappointment. The gray walls of despair may have closed in on you and crushed any glimmer of hope. It’s time to hope again. This new hope cannot be in humanity or in your power. In fact, that is the source of your despair today. Misplaced hope. Men are peddlers of hope. We promise solutions in politics, science, health, education. And I thank God for the right use of each of these! Invest yourself in positive way in all of them. But never forget their limits. Look at the beginning of the 20th century if you want to see real, human-generated hope. The world was well on the other side of the Enlightenment, and the gears of The Industrial Revolution were beginning to grind at full speed. Science promised a bright new day, and clear thinkers were certain that we had left behind the ravaging wars that plagued the continent and the world. No one was more hopeful than H. G. Wells. He is best known best known for science fiction works like The Island of Dr. Moreau, The Invisible Man, Time Machine, and War of the Worlds. But he also wrote books with splendid titles like The World Set Free, and later The Work, Wealth, and Happiness of Mankind. His novels were utopian, and he believed that humanity would march into a bright new century illuminated by science and human goodwill alone. Wells went on to live through two world wars, genocides and man-made catastrophes unmatched in history. His last book, Mind at the End of Its Tether, contains his sad conclusion: “Mankind which began in a cave and behind a windbreak will end in the disease-soaked ruins of a slum.” He had placed his hope in humanity and its potential for advancement, but he also discarded belief in God. His hope eventually was crushed. Do we discard God? Too often we let the clouds of our present-day disappointment obscure the sunshine of a bright eternity promised by God. And before we begin to complain that eternity is a long way off, remember that God’s hopeful eternity works its way back into our daily lives. It’s here and there and all around us. As I often say, you find what you look for in life. I’d wager everyone reading this believes in God, and if I asked you to place you’d probably say that in the end God’s plan all comes together. Yet today you feel despair. The heart of the problem is God’s timing. We trust that He’s good, powerful, and active, but He sure is taking His time. We just don’t see the promise fulfilled. He’s. Just. So. Slow. God’s apparent slowness doesn’t prove the futility of hope, it proves the necessity of hope. Of course, we don’t see the fulfillment. That’s the nature of hope. Paul wrote, “Hope that is seen is not hope” (Rom. 8:24). Your hope must be bigger than your health, finances, and relationships. Hope in the eventual redemption of the universe. Seriously. That’s the real object of hope, that God will one day make all things right. All things. Thus, patience is the flip-side of hope. No harvest is immediate. And God deliver us from ignoring the endless ripe fields while we focus on one fallow corner. The theme of the first Sunday of Advent is hope. We read from the prophets and light the prophets’ candle. Interestingly, the prophets’ words about the coming Light and the wonderful counselor, etc. didn’t come to pass for centuries. Seven centuries for some of the prophecies. All that time the people of Israel waited. Waiting people must be faithful people whatever the circumstances. So stay hopeful, in God, because hope makes life worth living. No, the promises have not all come to pass, but they will. In God’s time they will. Just walk with Him from now until then. Jude wrote his letter to warn churches against the influence of false teachers, a common problem in the early church and not so uncommon today. These “grumblers, malcontents, loud mouthed boasters” (v. 16) taught a perversion of grace (v. 4) and practiced a licentious lifestyle (v. 7). In response, Jude appealed to Christians to “contend for the faith.” The word for contend is built on the word for “agony.” The stakes were high. The effort would need to be intense. An apologist is someone who makes a defense. These early Christian apologists started a long line of intellectual inquiry and engagement that continues today. We need good Christians who will fight for the faith, define it, identify threats to it, and encourage Christians to embrace the teaching of the New Testament. They battle on behalf of the entire church body. This “corporate” defense of the faith has a personal dimension also, and that is what I want to address in this week’s GraceWaves. Individually we face many challenges to believe. It may come in the form of a clever argument against the resurrection or authority of Scripture. For example, occasionally I run across someone who has heard or read about The Jesus Seminar, a collection of scholars who have reduced Jesus’ teaching to a few Farmer’s Almanac proverbs and dismiss His divine nature and atonement. They appear to have a presupposition that the miracles are contrived, and if that is your presupposition then it’s easy to see why they think Jesus was just a meandering prophet who benefitted from an incredibly successful marketing campaign. I know a great many Christians who, because of long-running doubt, have set the bar so low that they expect little and receive less. You may be one of these Christians. Doubt has lodged in your heart. What can you do? First, do not embrace doubt as a virtue. Doubt is a challenge to be faced. It is a reality, a “black dog” of the spiritual life. But the fact that it is a common problem does not mean doubt should become a self-justifying excuse. Yes, you may have doubt; and yes, we all do sometimes, but that is all the more reason to contend for your faith! In other words, don’t let the seed of doubt root its way into your soul. Fight it! How? Remember that faith, and growing faith, is both a fruit of the Spirit (Gal. 5:23) and a gift of the Spirit (1 Cor. 12:9). Ask God to help you. The Spirit loves to remind us and encourage us! That is His task. God does not expect you to manufacture faith on your own. He expects you to exercise it, like a muscle, and grow stronger in the process. If you haven’t worked your faith in a while, start again by calling for the Spirit’s help. Probably the most important step you can take is to talk to a Christian who appears to have what you desire. Go for coffee and tell this person of your struggles. An honest believer will share his or her own struggles. You’ll discover that you’re not alone. You’ll also have someone to pray for you, and if you can’t pray it’s wonderful to have someone do that for you! Other practical matters include the usual. Read the Scripture, pray, worship, sing hymns, and lead a life worthy of your calling. Serve and encourage someone else. The Biblical word for faith has a strong element of perseverance in it. See Hebrews 11 for a list of people who kept believing. When challenged, do not fling away from what you know is right and good. Faith senses subtlety. That is especially important because the world shouts, the ego screams, and God whispers. Sometimes it’s just plain hard to believe. That’s the point where you may want to give up. Let’s change that to the point where you contend for your faith. In the end, we’re all like the father who came to Jesus pleading for his son’s healing: “I believe. Help my unbelief!” (Mark 9:24). We are all schizophrenic mixtures who need regular reminders that God does help us to believe, and at the same time urges us to fight for our faith. This week’s GraveWaves is your reminder. Contend for your faith. Join Me in Israel and Rome! Have you ever thought about taking a trip that could deepen your faith? I visited Israel years ago, but the warmth of the experience still stirs my soul. I remember Bethlehem in particular. 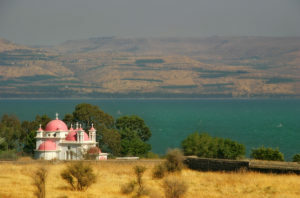 An ancient church marks the spot where tradition claims Jesus was born. The entrance is low, about four feet, so I bowed to leave the glaring streets and enter the cool shadows of the basilica. A faint smell of incense lingered and shafts of colored light through stain glass bathed the line of whispering worshipers. I entered the small area where a fourteen-point star marks the birthplace. At that moment the fact that God became man touched my heart and changed me forever. Earlier this year I decided that if I was going to do it I needed to do it! So I’ve partnered with my good friend Dr. Dwight Moody to form E & M Tours. Working with the Jerusalem Center for Biblical Studies we’ve put together a tour of Israel ending with three days in Rome, May 26-June 10, 2018. My vision is to visit the birthplace of our Christian faith and then to see the glory of the city where the Church blossomed and gave rise to the church universal. Dwight and I are committed to being your teachers and pastors on this trip. We’ll teach you about the places we’ll visit. We’ll also encourage you to have a transforming, spiritual experience. We aim for the mind and the heart! Please contact me for more information. You can reply to this email. Or use terryellis@cox.net. You can call me at (225) 405-0797. I’ll be glad to send you a brochure. You can also view information about our trip by going to www.jcbs.org/find_trip. In the box to the right labeled “I Know My Tour Information” enter the following information: In the “Tour” field enter JC18, in the “Departure Date” field enter 052618, in the field to the right enter x, and in the “Group Leader id #” enter 41969. Making a pilgrimage is a big commitment, but if not now when? Let me be the catalyst for this significant spiritual experience in your life.